Hana is the secretary of the Underground Student Council, a vigilante school organisation. Hana is the fourth-best karate champion in the inter-high school championships. She is a subordinate and loyal friend of Mari Kurihara, the president of the USC. 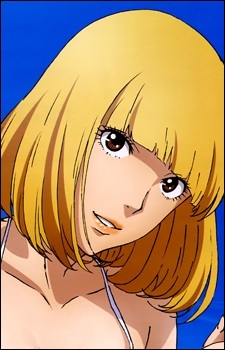 Hana is of average height and slim with a medium bust. She has straw-coloured hair in a bob, and brown eyes. She is athletic and somewhat muscular despite her weight, as a third-grade Dan and the school's fourth best karate champion. She wears the standard school uniform in tandem with leggings and an undershirt. Hana is a kind and shy individual, who enjoys brewing & drinking dandelion tea and has a love for four-leaf clovers. She can be very violent when angry, and expresses her anger with proficient karate attacks. She is somewhat reserved in comparison to Meiko Shiraki (the Underground Student Council's Vice-President), wearing underlayers when on guard duty. She is actually very shy and reserved, as shown when she is caught in compromising conditions by Kiyoshi Fujino a number of times. Hana is shown to be quite impressionable out of her tough exterior as in compromising or sexual situations, she faints and becomes mortified. Hana has a fear of mushrooms which as a result of remembering the hospital visit. She develops a crush on Kiyoshi after they kiss.